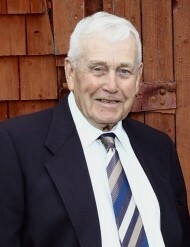 It is with heavy hearts that the family of Robert Killoran announce his passing on the evening of January 5th, 2019. Robert, affectionately known as Bobby, is survived by his wife Gertie (Lieske) Killoran. The third of 12 children, now survived by his brothers George Killoran, Joe Killoran and his sister, Phyllis (Killoran) Deslippe. Bobby and Gertie had eight children: Reg, Lila, John, Mary, Linda, Patrick (deceased), Terry and Dennis. Bobby also had 12 grandchildren. Bobby was a pillar in the community, a beloved father, Veteran of World War II, an adored grandfather and an exceptional farmer. Through his entire life, he remained a shining example of hard work, integrity and a devoted member of his church. Bobby was never quick to judge, but always among the first to be there when work needed to be done. Bobby passed on in peace, at home, with members of his family by his side. Bobby’s faith was a mainstay of his life. As we take comfort in his ascendance to heaven, we hope that his life can serve as an inspiration to us all, to be kinder, more understanding, and work hard for the people and places that we love. In place of gifts and flowers, we kindly request that donations can be made to the charity of your choice. A funeral for Bobby will be held on Friday, January 11th, 2019 at 11 AM at the St. Gabriel's Church in Jacquet River, with visitation on Thursday, January 10th, from from 7 to 9 in the evening at St. Gabriel's Funeral Parlour. 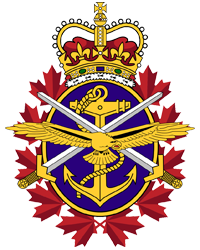 All members of the Durham Branch #77 of the Royal Canadian Legion are asked to assemble at the church fifteen minutes prior to the funeral for a Legion Service. Funeral arrangements are in the care of MacMillan's Funeral Home, Black Point.